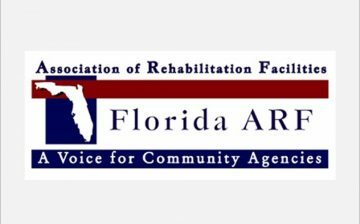 Suzanne Sewell, President and CEO of the Florida Association of Rehabilitation Facilities (FARF), served as keynote speaker at Duvall Home’s Networking & News Event, held October 30th at the S anborn Activity & Event Center in DeLand. Her forty years of experience and insight was shared with an audience of local business leadership, civic organizations and the friends and families of Duvall Home residents. 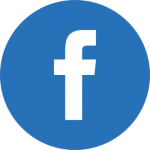 FARF is a statewide, professional industry association that provides advocacy, information, and networking for individuals with disabilities, and the community agencies that serve them. 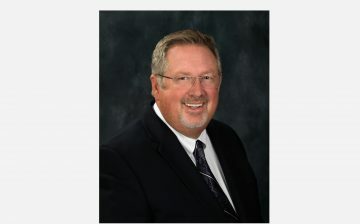 As the Association’s chief spokesperson, Sewell acts as public policy change agent and serves as liaison with executive and legislative branches. She directs the annual legislative campaign to advocate for the needs of more than 100 members agencies like Duvall Home. Duvall is engaged in a historic transition to reposition residents from McGaffin Hall, a congregate dormitory building on its main campus, to family-style group homes in the community and Sewell was on hand to add depth and clarity to a discussion focused on issues surrounding the move. Sewell was joined by Commissioners Leigh Matusick, DeLand and Nancy Schleicher, Deltona, who offered city support as Duvall Home moves through steps to accommodate new federal guidelines – to fully integrate disabled individuals into the mainstream community. Echoing the sentiments of Barbara Palmer (Florida’s Director of the Agency for Persons with Disabilities) during her recent visit to Duvall Home, Sewell commended the organization for “doing a very good job.” The nationwide mandate is one Duvall is actively embracing. Additional to the information presented by guest speakers, a high-point of the morning was the presentation of awards to ten Duvall Home residents. Trophies were given for outstanding achievement in a variety of categories. Duvall Home is a 501(c)3 organization, dedicated to enhancing the lives of the developmentally disabled residents in its care, as well as those from the greater community that attend its Adult Day Training Program. Located at 3395 Grand Avenue, Glenwood, FL 32722, more information can be found at https://www.duvallhome.org. 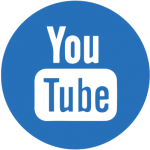 Click here to view a full video of Sewell’s presentation. Using his hands and eyes, Ronnie Rosenberg has a lot to say. As a toddler, he was diagnosed with cerebral palsy and now, at 32, he remains nonverbal. Yet, he’s as expressive as anyone when looking ahead to birthdays and holidays at his new group home, or getting on stage to accept an award, as he did Thursday morning. Moving from an institution in South Florida to a cottage near DeLand run by the Duvall Home has made a big difference, says his cousin and guardian, BethAnn Filingeri. For decades, doctors recommended families of people with cerebral palsy, autism and other disorders send their children to large institutions like Duvall Home’s Glenwood campus. But research, policy and the courts have changed that. The government more readily funds smaller group homes intertwined in communities, promoting more interaction and normalcy in the lives of people like Rosenberg. So the Duvall Home — started by the parents of a child with Down syndrome in 1945 — is making the shift from aging dormitories to smaller residential settings. 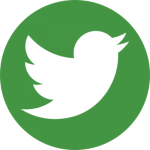 It stands as a symbol for a system for caring for people with disabilities that has evolved in recent decades. It outgrew its first location in Satsuma, a tiny berg in Putnam County, and moved into a 30-room, rundown hotel in rural Glenwood in 1952. Ultimately, the institution would house 250 people in two dormlike buildings, plus a workshop, chapel and swimming pool. But those structures are deteriorating, as the model for modern-day care — the group home — has been fully embraced by Duvall’s board. Within the next year, the last of the 40 or so residents of McGaffin Hall, the last residential location on Duvall’s Glenwood campus, will be moved to group homes elsewhere in West Volusia. Some of those residents have lived in McGaffin for decades. DELAND — Kristin Burrhus is 49 but only a few years removed from living with her parents. Her journey, though, has been nothing short of miraculous. “I’m independent. I do things on my own. I do my own chores,” she said during a recent interview at her new home, Duvall Home’s Gatlin Cottage north of DeLand. Born with Down syndrome in an era when doctors frequently recommended institutionalization, she grew up with her family in Massachusetts, and functioned well enough to work at several places, including Walgreen’s and Burger King. Her family moved to Florida, and she took painting classes at the Gateway Center for the Arts in DeBary, producing work with enough depth to gain attention and even a few sales. But then she fell ill several years ago, suffering two strokes, many seizures and was near enough to death that hospice was caring for her. Burrhus’ family looked at options for her care and decided to have her moved to the Duvall Home cottage. She remained in a wheelchair. “It took a long time, several years, to get well. After that, I couldn’t walk at all. I didn’t have the strength in me,” she said. But little by little, she made progress, and her two therapists taught her how to walk again. She graduated to a walker and now uses only a cane to help her get around. She was even, for a time, well enough to return to work at one of Duvall Home’s thrift stores. She found her move a big change. She handles chores, include making breakfast, assisting the cottage’s “house mothers” with meals and keeping her room clean. Valerie Dawson, a Duvall staff member, says Burrhus helps with some of the administrative tasks. She attends Duvall’s day-training program most days. That’s where DeVane, who had recently been installed as Duvall’s CEO, met Burrhus once again. 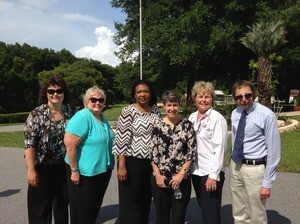 Read “One resident’s road to recovery, independence” featured by the Daytona Beach News Journal! Duvall Home has been empowering individuals with intellectual/developmental disabilities since 1945. Their mission to provide the highest quality of life and greatest level of independence for each resident is achieved through individualized care plans that include educational opportunities and life skills training. 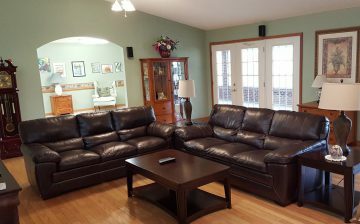 Duvall Home provides 24-hour around-the-clock nursing oversight, as well as daily transportation to the Adult Day Training Center and a wide variety of community outings. Download the 2013 – 2014 News and Annual Report by clicking here. July 27, 2014 Last Monday, The Duvall Home was honored to host Barbara Palmer, Florida’s director of the Agency for Persons with Disabilities. Also with Ms. Palmer were Ed Debardeleben APD Chief of Quality Assurance and Clinical Supports and Denise Arnold APD Deputy Director of Programs as well as Leslie Richards APD Northeast Region Manager. The group reached out to us last week to ask if they could come for a visit after hearing about our transition. The senior staff was able to spend over two hours with this esteemed group showing them foundations of our history and the plans for the future. June 30, 2014 Last week, nearly 80 volunteers from both DeLand and Ft. Lauderdale offices of DaVita Labs, stepped up to volunteer at five group homes operated by Duvall Home, in Glenwood. DaVita, the diagnostic laboratory servicing both dialysis organizations and physician practices, worked in close collaboration with Duvall Home staff to organize the day’s event. Volunteers helped by clearing brush, planting flower beds and shrubs and adding mulch as the final touch in a major landscape beautification project that included 900 plants and extended over several acres. 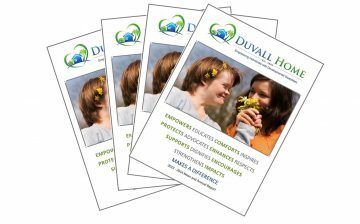 Licensed by the Agency for Persons with Disabilities, Duvall Home is a non-profit 501(c)(3) organization that provides quality residential care and day training programs for adults with developmental disabilities, such as down syndrome, autism and cerebral palsy. 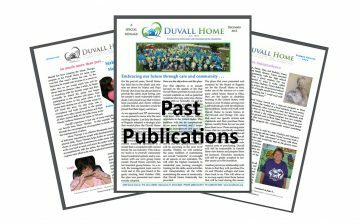 Serving more than 130 individuals, Duvall Home has been a landmark fixture in the DeLand community for decades and will celebrate its 70th Anniversary in 2015. 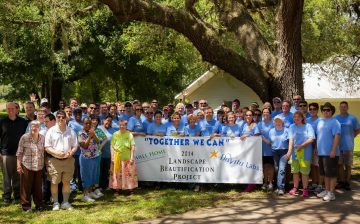 Not only did DaVita offer a day of service, they also donated $3,000 toward the cost of the materials needed to enhance the group home properties. DaVita Labs SM provides quality, on-time, accurate results to help effectively identify and manage kidney patients across the nation. As a cutting-edge chronic kidney disease (CKD) specialty laboratory, DaVita Labs SM features the latest in end stage renal disease-specific methodology and technology for delivering quality dialysis test results. DaVita Labs SM is fully accredited by the federal and state governmental agencies and the College of American Pathologists. For more information, please visit DaVita Labs or call 877.200.3181. May 1, 2014 Duvall Home recently drew an audience of nearly 100 guests together to convey a two-fold message. Gratitude and appreciation was at the forefront, as donors from various groups enjoyed a day set aside especially for them. Parents and guardians of Duvall Home residents, church ambassadors from several counties, business leadership and local sponsors were among those being honored at an event that took place on the organization’s fifteen-acre Glenwood campus. Duvall Home residents presented chief executive officer, Tim Cook, who accepted on behalf Florida Hospital DeLand, with an award for Outstanding Community Partner. 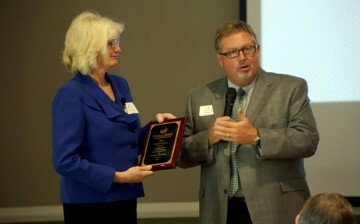 ABC Supply Company, Inc. was honored as Outstanding Corporate Partner and Kay Laws, a member of First Presbyterian Church DeLand, received the award for Outstanding Volunteer. Kate Pearce, chair of Duvall Home’s Board of Regents said, “Duvall Home has a rich history of serving individuals with developmental disabilities and we are proud to celebrate the dedication and generosity of those who support our mission and make our work possible”. Duvall Home has been a landmark fixture in the DeLand community for decades, and will celebrate its 70th Anniversary in 2015. “Nestled in our sleepy, little Glenwood neighborhood, we have done a great job of operating under the radar for years”, said chief executive officer, Steven DeVane, adding “that’s about to change”. The secondary message of the day – Duvall’s transformation – centered on a new chapter in the organization’s history. Duvall Home will soon begin its move to gradually transition about sixty residents, currently living on the Glenwood campus, into eight community group homes in and around DeLand. These will continue to be operated by Duvall, alongside the ten group homes already established in the community. The living accommodations provide a home environment modeled after a typical family-style residence. “This is a time to look to the future”, said DeVane “and to ready Duvall Home to meet the ever-changing requirements, not only of our special-needs population, but also of the state and government agencies that govern us. As time moves on, our greatest legacy will be to insure Duvall’s strength long into the future – at the very least, another 70 years”. 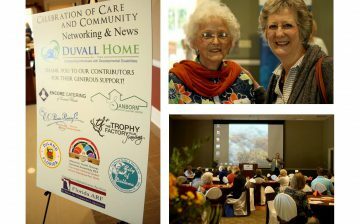 The Duvall Home is a 501(c)3 organization, dedicated to enhancing the lives of developmentally disabled residents in its care. Located at 3395 Grand Avenue, Glenwood, FL 32722, more information can be found at https://www.DuvallHomes.org.